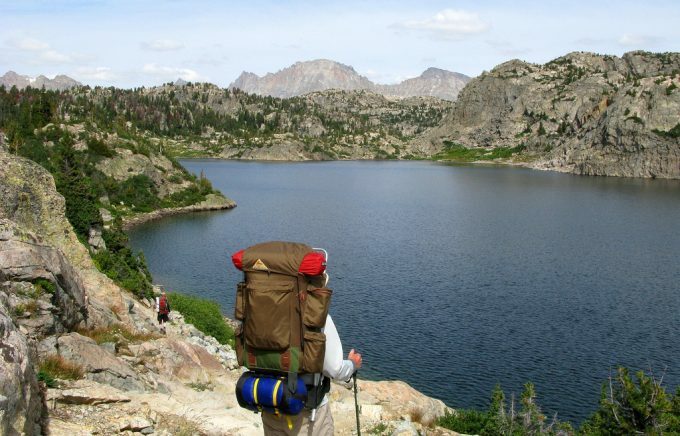 So, you think that a good hiking backpack is essential for the success of your hiking trip? 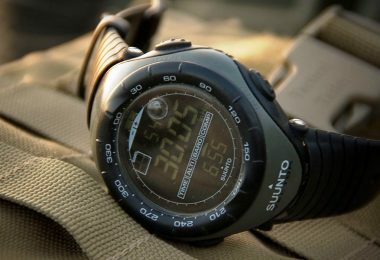 Are you looking for the ultimate addition to your hiking gear? If you are looking for the best hiking backpack, you have certainly come to the right place. 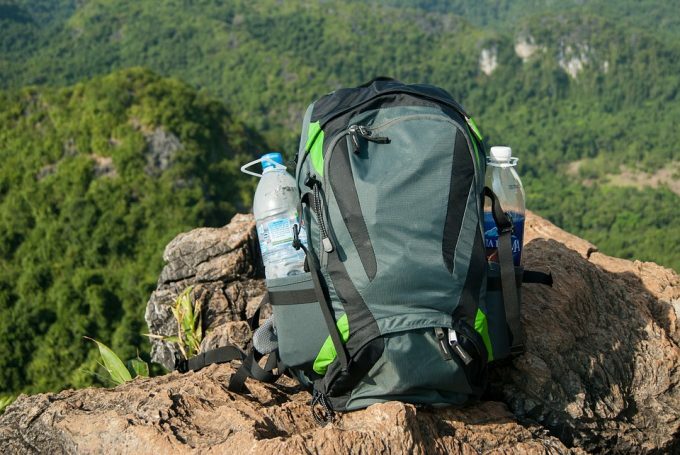 If you have done any amount of hiking, you know that the backpack you carry is critical. As a matter of fact, the success of your hiking trip will greatly depend on how you pack your gear. You need a backpack that is roomy enough to carry what you need, is able to distribute the weight across your shoulders, back, and waist, and is lightweight, yet durable. Sounds like something that doesn’t exist? Don’t worry, we will help you find a perfect model for your needs. There are a lot of models on the market and finding the best hiking backpack can be challenging. So we hope that by reading our detailed reviews and guidelines, you will be able to make a good purchase decision. We are providing the most informative data that will cater for the needs of beginner and experienced hikers. We will start by discussing the main features you should look for in the best hiking backpack. Of course, there will still be some other relevant factors, but these remain to be a matter of personal choice. 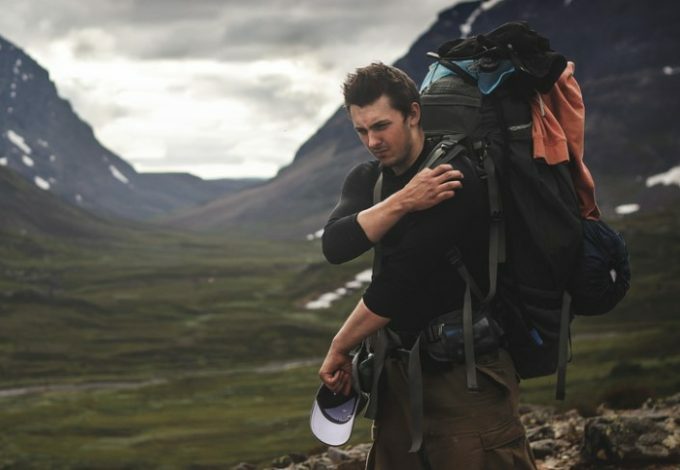 To get the right size of the backpack, you will need to start with measurements of the length of your torso and the circumference of your hips. The length of the torso will determine the frame size. They are sized in a range, for example, if your torso measures 18 inches, you would try out a medium/regular frame that has a range of 18 to 19½ inches. Some packs come with interchangeable belts, which is great. Your hip measurement will indicate which belt size you need; for example, if your hips measure 35 inches, you would take a large belt with ranges between 35 to 39 inches. 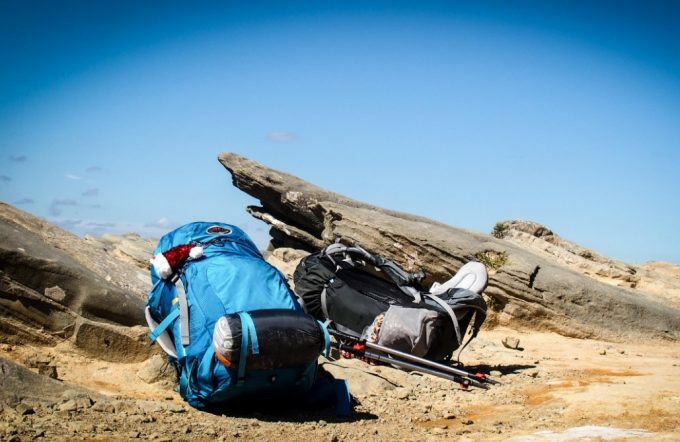 This all seems so technical, but many backpack stores will help you with the measurements and adjustments to make sure you get a pack that fits you perfectly – it can make or break your trip. 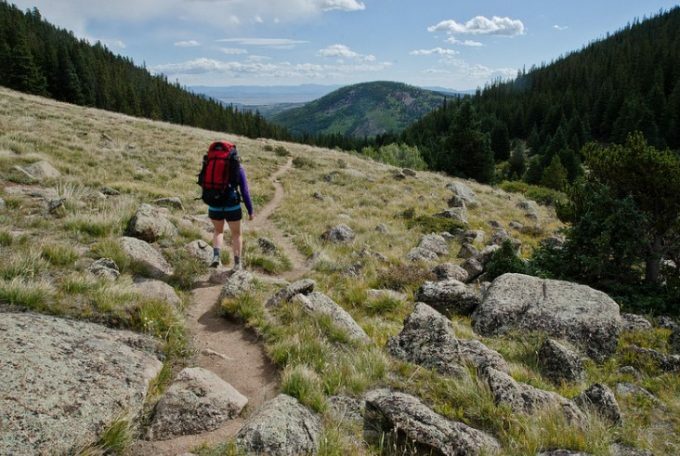 A good hiking backpack should be made of durable and sturdy materials. You don’t want to have to replace your backpack that often since it should be designed to handle abuse. At the same time, it is very important to make sure that your backpack will have good back ventilation, otherwise it will be very uncomfortable to carry around. 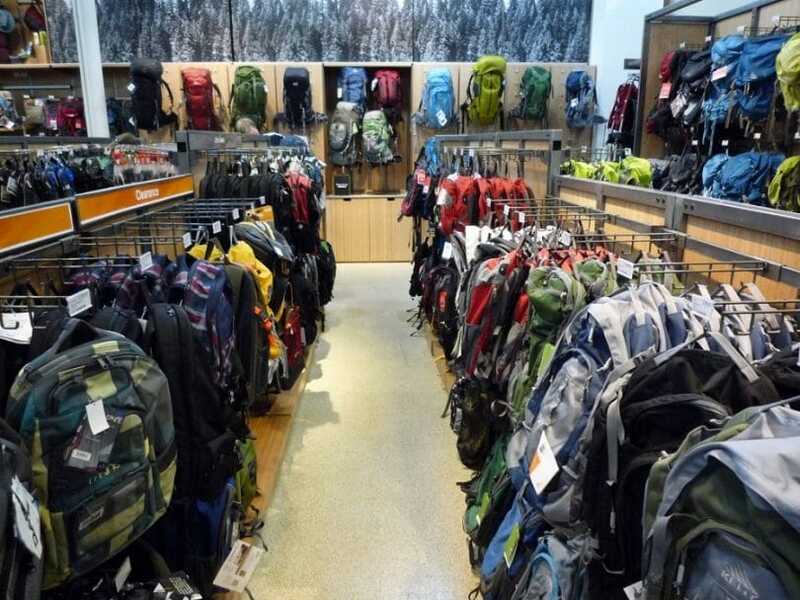 Since most hiking backpacks will be made of durable materials that will not allow good breathability, they will probably have some sort of air vents that will make them more comfortable to carry. Make sure the model you buy has venting channels that are nicely positioned and not affect the comfort. The suspension should place the load over the center of gravity to help with balance; this is especially important on hilly, rocky inclines or declines, where it might be easy to lose your balance. There are different suspension systems that you should be aware of, so you can choose the right system for your body. The full contact back suspension system, will sit right next to your back. There is typically a ventilation tunnel to help you keep a stable temperature. 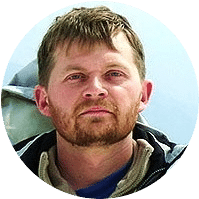 Being tied to your back, does give you more heat and therefore this type of system may be more suitable for colder, winter activities such as cross-country skiing. Nevertheless, it is a versatile system and can be used for climbing, biking and everyday use. Full ventilation suspension systems, have netting that keeps the pack from lying on the back. It creates an air pocket for ventilation; perfect for use in warmer climates by hikers and backpackers. A trekking suspension system typically has an internal frame; it gives great support, comfort and ventilation. Suspension systems are excellent for heavy loads over extended periods of time. They are padded and usually adjustable. This type of system gives a more custom fit and added comfort for the hiker. A hydration system is built into the pack specifically for water. It includes a reservoir and a sip tube. 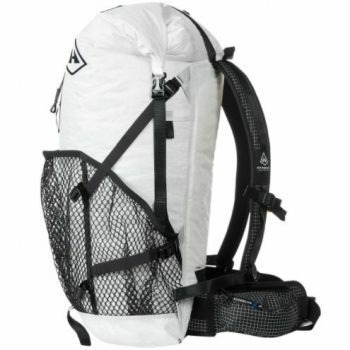 Some packs come with the hydration system, others have a space for it, but you need to purchase it separately. There are different volumes of reservoirs which you will choose depending on your activity. For thru-hiking and mountaineering you may want the larger reservoir. It is recommended to drink at least one liter of water for every hour of activity. A large reservoir of about 3 liters of volume, weighs 6.6 lbs, and you need to take this into consideration when choosing your hydration system. The benefits of having a hydration system are simple: you don’t have to stop to take out a water bottle to drink – just sip from the tube. Compression straps are also important; they help condense the load so you can keep it over your center of gravity for better balance. There are a few things to look at when it comes to straps. Stitching: make sure the stitching is heavy duty, especially at anchor points. These will come in handy, especially if you are spending more time in the wilderness. Your hiking backpack will naturally have pockets, but extra pockets and compartments will help you sort your stuff and organize them for easy access. Most hiking backpacks will come with extra attachments that will allow you to add your tools and accessories for more convenience. Some will also feature mesh pockets that will help you see your tools easily without having to open everything to find what you are looking for. In this section, you will find everything you need to know about the finest hiking backpack models on the market. Now all you have to do is to weigh their pros and cons to buy the most suitable one. 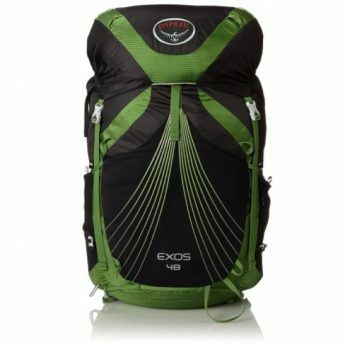 Description: The Osprey Exos 48 Backpack is a model that has a removable lid and mesh side pockets with InsideOut compression, which allow for more secure loads in the side pockets. The ExoForm shoulder straps and hip belt with zippered pockets will distribute weight evenly. Furthermore, it features sleeping pad straps and integrated FlapJacket, which provide compression and protection from the elements. This backpack also comes with a stretch mesh front pocket and tool attachment with extra tie-off points for extra gear. We also need to say that this lightweight pack is made of state-of-the-art, high-tenacity materials, and an aluminum frame. At the same time, the AirSpeed Suspension provides stabilization and ventilation –perfect combination. This pack comes in three sizes, S-M-L, to assure a better fit. And, it is an open bucket style so bigger items such as a bedroll could be stuffed inside. 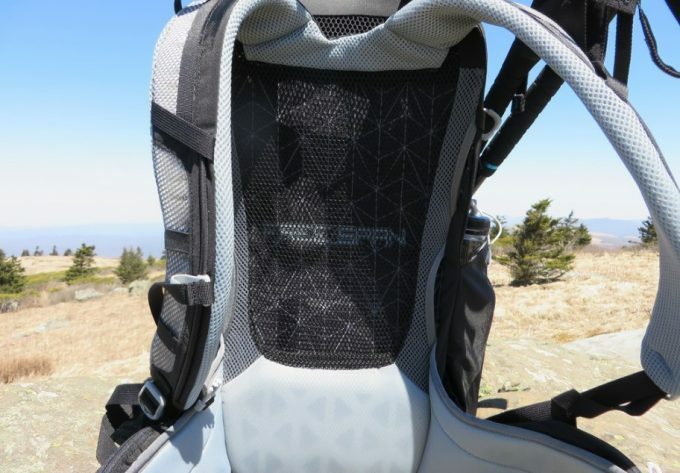 The backpack Exos 48 features an internal backpanel sleeve, that can accommodate up to 3-liter hydration reservoirs. The sewed in hip belt comes with a mesh covered foam lining for extra cushioning and comfort. This backpack also features a floating top pocket with an internal key clip and under-lid zippered pocket for organization. Related: Drinking regularly is essential for your health. Stay hydrated on your hunting quest thanks to the compatible Osprey 3-Liter Hydraulics™ Reservoir. Also make sure that your backpack is dry all the time with the AyaMaya Ultralight Rain Cover. Description: The Hyperlite Windrider Backpack has a total volume of 2441 cubic inches. It features Dyneema® Hardline spacer mesh shoulder straps, including closed cell foam for extra comfort and breathability. It also comes with a hip belt and hip belt zippered pockets. The compression system includes roll top with vertical compression, side compression and finally a top Y strap to secure gear. Although this is a lightweight backpack, it will be big and durable enough to accommodate all your gear. This lightweight pack is made of white waterproof Dyneema® fabric and proprietary seam sealing that will keep your gear dry. The removable aluminum stays add extra support when needed and can be removed if you want it to be lighter. This pack comes in 2 sizes, medium and large. It is an open bucket style to accommodate all types of gear. Extra straps for tying on bed roll or tent. It also has an internal sleeve that is suitable for your hydration reservoir. Related: The Versa Flow Light-Weight Water Filter System is what you need for your next outdoors adventure. It removes almost all the bacteria giving you healthy, clean water wherever you are. Description: The Granite Gear Crown VC 60 Backpack is made of Cordura® 100D & 210D Nylon for a lightweight, yet durable pack. It utilizes a Vapor Current frame with ventilation channels for evaporative cooling. It has 3 expandable exterior pockets, hydration ports and sleeve. It comes in 3 different colors that suit every taste. This pack is large and yet versatile. Built for balance and stability, this pack will go the extra mile with you, staying at your center of gravity so you can go the distance. This pack comes in 2 sizes to accommodate different frames. The pack has a removable frame, making the pack an ultra-light for day hikes with lighter loads. This is a top loader with a roll top closure for easy access and to accommodate all your gear. The straps come with dual density padding for extra comfort and support. Related: Looking for that something extra? The Granite Gear One Size Line Loc Lid will fit your backpack well and provide more storage capacity. Description: The REI Flash 65 Pack utilizes REI UpLift™ compression technology that hugs your body for better balance and stability. It is made of durable ripstop nylon and features a sculpted, padded hip belt for better fit. This hiking backpack comes in 3 different sizes to fit all different needs. The back panel is made of REI Packnit™ mesh for great ventilation. There is a key clip under the lid to keep your keys safe. This pack is perfect for the long haul trip. 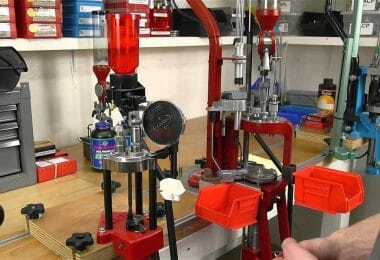 The compression system keeps the load balanced and stable. It also keeps the weight closer to your center of gravity making the weight lighter to carry for long distances. The aluminum internal frame and peripheral stay give this pack the stability hikers are looking for. A dedicated sleeve for a hydration system is exactly what hikers need to stay hydrated on the trail. Multiple easy access pockets round out the features of this pack. This pack has three sizes: S-M-L, with an adjustable torso to ensure a perfect fit. This is an open bucket style, with 8 exterior pockets including a separate large front zippered pocket so that you can access the bottom of this pack really fast. It also has tool loops and lash points. Related: The low profile Camelbak Antidote Reservoir 100 oz is the perfect addition to your gear. 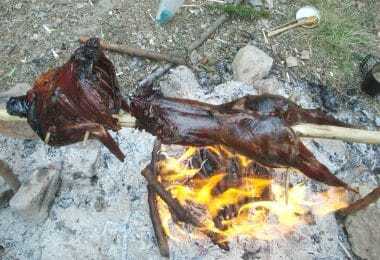 It is easy to access and will not add too much extra weight. 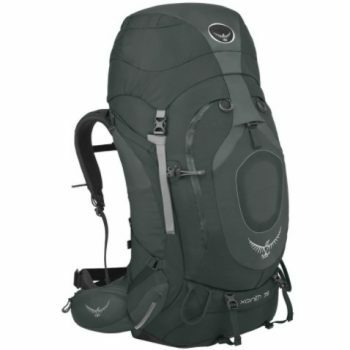 Description: The Osprey Atmos 65 AG Backpack is made of nylon and features an adjustable harness and torso and Fit-on-the-Fly adjustable hip pad belt extends up to 5 inches. It comes with an internal hydration sleeve so that you can have easy access to your water all day long. This backpack features a Stow-on-the-Go trekking pole accessory. It also comes with internal and external compression straps in addition to 5 exterior zippered pockets and 3 slip pockets for everything you need. The internal compression straps help to stabilize the load while the side straps allow you to carry extra gear. Osprey Men’s Atmos 65 AG Backpacks is equipped with top to bottom mesh that helps the pack contour to the hiker’s body, giving it a better fit for balance and stability. The mesh also makes the backpack more breathable so that you can carry it comfortably for long. The pack has a removable lid; it can expand to carry a bigger load or can be removed to lighten the load. It is equipped with sleeping pad straps and tool loops. This backpack comes in three sizes: S-M-L and in 3 different colors. In addition, the adjustable straps, torso and belt make for a perfect fit. The seamless structure of the pack provides more comfort without restricting your movement by distributing the weight evenly. Related: Why not record those priceless moments? The Dicapac WP-ONE Point & Shoot Digital Camera will not affect the functionality of your professional camera. You can easily zoom in using this snow proof and waterproof protective case. 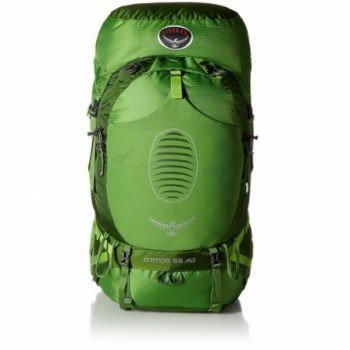 Description: The Osprey Xenith 75 Pack features LightWire™ suspension and dual side compression straps to keep the load near your center of gravity for a balanced, stable trip. It has a separate sleeping bag compartment, in addition to an interior hydration sleeve. The backpack features a mesh front pocket for extra visible storage. It also comes with side compression straps and Stow-on-the-Go attachment for trekking poles. The Osprey Xenith 75 Pack is loaded with pockets, tool attachments, and zippered compartments that help keep the hiking gear organized and efficient. 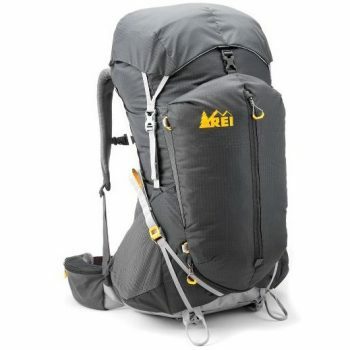 Made from high tenacity 210D nylon, this pack will stand the test of a long journey. The moldable harness and hip belt are incorporated for carrying ease and comfort. This pack comes in three sizes: M-L-XL and in 2 different colors. This large pack can hold enough gear and supplies to last a full week. The removable lid converts to a lumbar pack offering more versatility. Related: This hiking backpack pairs greatly with the Osprey StraightJacket Compression Sack, which you can use for, for example, compressing your sleeping bag and simply attach it to your backpack. Description: Thanks to the LightWire™ peripheral frame, the Osprey Volt 75 Backpack is very easy and comfortable to carry. It comes with side compression straps that will stabilize the load and Fit-on-the-Fly adjustable hip belt. The adjustable hip belt will fit different hip sizes, while the adjustable torso will make it the perfect backpack regardless of your frame. 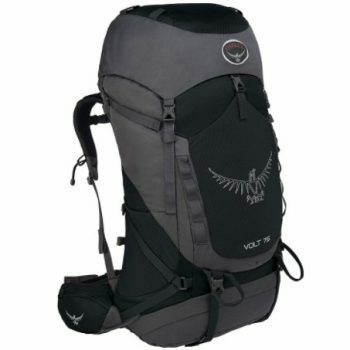 The design is the best for better weight distribution allowing you to carry this pack for long. It comes with front and side mesh pockets and hip belt pockets. It features Stow-on-the-Go trekking pole accessory and an internal hydration sleeve to stay hydrated on your mission. Furthermore, it is a simple backpack made of 210D double ripstop nylon, with no extra bells or whistles, but all the durability, stability and organization any hiker could want. It is an affordable backpack that does what it promises. The front pocket can be extended to accommodate larger loads while the sleeping bag straps will keep you well covered on longer trips. Related: For full rain protection for your backpack, we recommend getting the Osprey UltraLight Raincover. 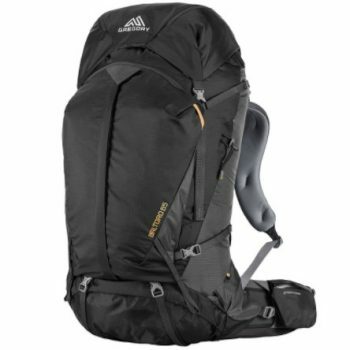 Description: The Gregory Baltoro 65 Backpack comes with an ultralight day pack that can be disconnected from the main pack and used for short day hikes away from the campsite. It features a slimmer and more comfortable design for longer hikes. The A3 suspension system is amazing for better weight distribution. It also has interchangeable and adjustable shoulder straps and hip belts to accommodate different sizes. This pack has three sizes: S-M-L. Dual bucket design, extra tool loops and lash points. It also comes in different colors and you will be able to find something that best matches your taste. Furthermore, it is made of 210D and 420 D nylon with internal polyester lining. 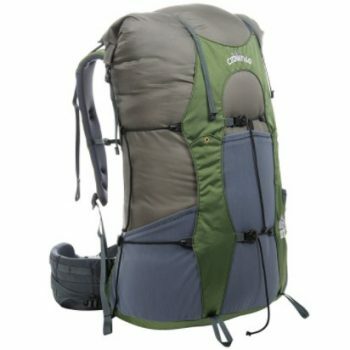 It features a vented back for more comfort and breathability, making it the perfect backpack for hiking in hot weather. The lower back area features removable Eva shim for better body contouring. This is a versatile bag with a special pocket for the rain cover and another for your water bottle. The design of the torso is perfect for better weight distribution. The hip belt is adjustable for the most comfortable fit. You can safely carry your valuables in your weather shield pocket. Moreover, it comes with a sleeping bag compartment and U zip that allows for easy and fast access to the bottom of the backpack. Related: Spending more than one night in the wilderness? The Therm-a-Rest Compressible Pillow expands big and packs really small. It won’t add unnecessary weight or bulk, but will help you feel more refreshed in the morning. There you have them, 8 top-of-the-line backpacks that are perfect for ultra-light day trips all the way to thru-hiking and mountaineering. Each of these packs is lightweight and made of durable fabrics. Although each brand has their own unique fabric, they are all made to be both breathable and moisture resistant. Another characteristic is the pockets. Pockets will help you stay organized so you do not have to dig into the main compartment unnecessarily. You can pack smaller items that you will need frequently in outer pockets. With all the features we have looked at there is no replacement for trying them out. If possible, see if you can borrow a pack or even rent a pack before you invest in your own backpack. As you can see from the pricing, you will make an investment – but it will be well worth it if you get the right pack. Find the right pack, join up with some experienced friends, determine what trail you will take and start out on your adventure – sporting that new pack. We are interested to know about your hiking gear experience. Don’t hesitate to share your experience in the comments section.